Gotham police are at a loss to explain a sudden rise in animal themed costumed weirdos? Surely the explanation is the same as it is for the long standing animal themed weirdos? It is Gotham, it is what they do. People in animal costumes wreaking havoc is practically a city tradition. I think it's just the statistics dept having trouble with the suddenness, not with the presence of costumed weirdo crime. 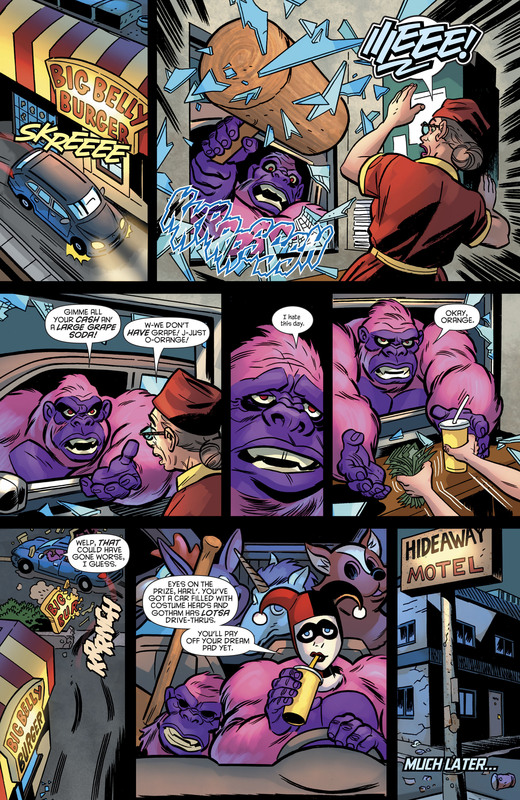 Like, normally you get an average of 10 animal-themed costumed robberies/day with 15% error bars, but today the rate suddenly tripled and they're at a loss to explain which of the big-name villains is responsible. 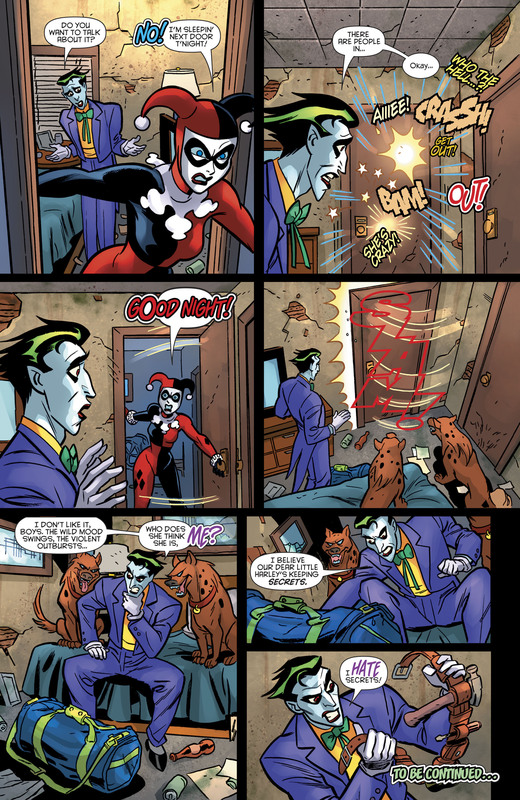 I find it interesting that the Joker (correctly) postulates a single offender rather than an animal-mask-themed gang. 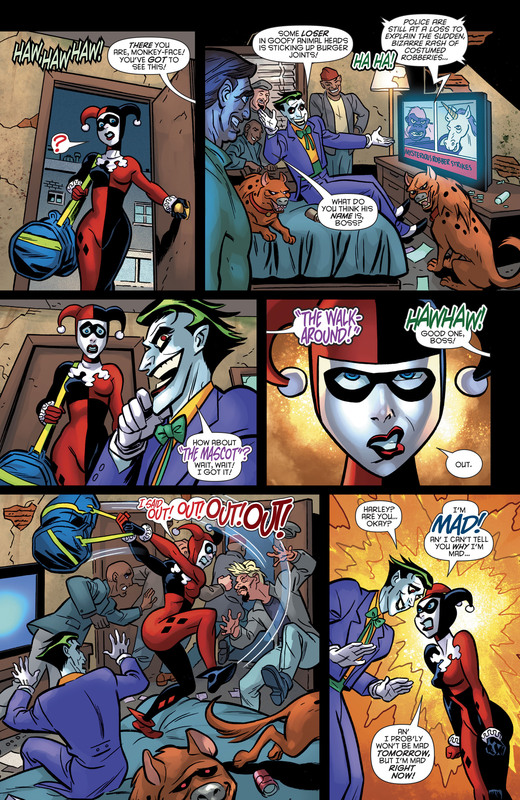 I see Harley's gone ape. That gorilla costume might be a Shout Out to the one Poison Ivy wore in the "Batman and Robin" movie.